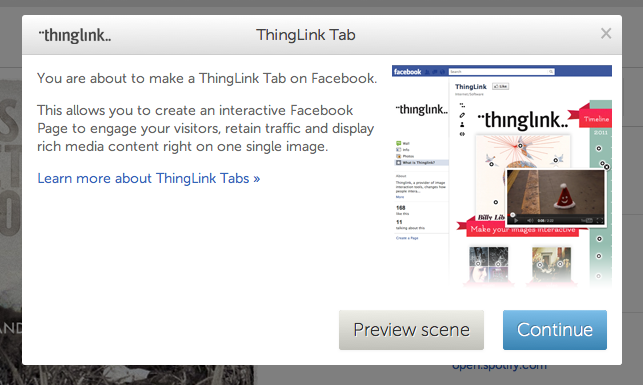 Engaging your audience on Facebook with ThingLink images is now easier than ever. We’ve built a feature that smoothly exports the image you choose to be featured as a ThingLink App on your Facebook page. This tutorial that takes your through the process as well as instructs you how to remove your app. Start by tagging an image. 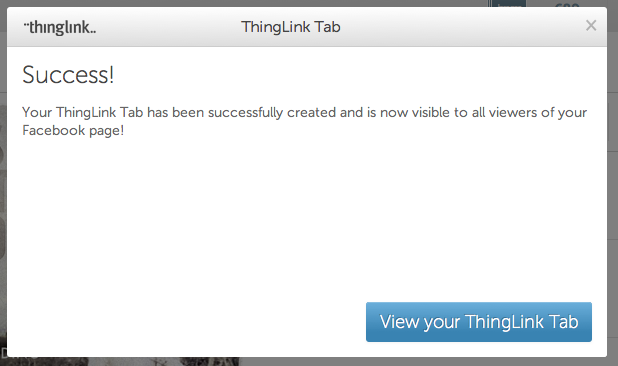 Remember that you can upload an image to ThingLink, import an image from Facebook or Flickr or use any image URL. 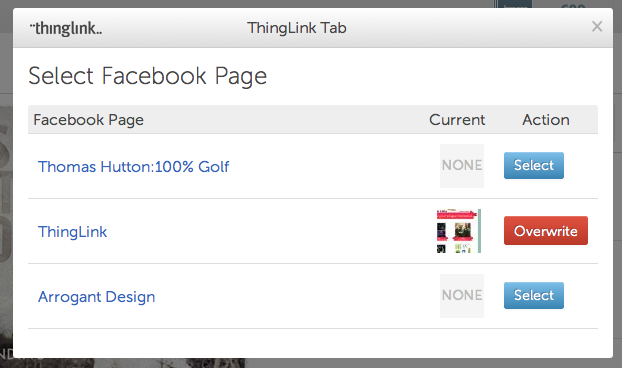 After you’ve tagged the image, you will have the option of creating a ThingLink App on Facebook. Click the Share button, that you find above the comment field next to the image, and click the Facebook option furthest to the left. Having begun the process, you have the option of seeing how the image would preview on a Facebook page, or to proceed. If your image is small, we center the image, and if your image is wide, we scale it down to fit. It’s always a good idea to preview your work to avoid confusion at a later stage. Remember that your image can be 810 pixels wide with Facebook’s new format, allowing for a lot of tag exploration. If you are doing this process for the first time, regardless of if you logged in with an email address or your Facebook account, you need to enter your Facebook account again. At this stage, we verify the pages to which you have admin rights and provide you with a list of them. As you can see from the image, it is possible to also overwrite an old image for a page. 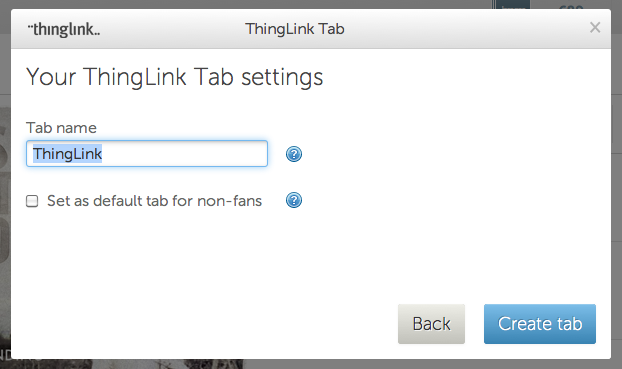 There is no limit for how many times you can overwrite a ThingLink App. Give your App a name. 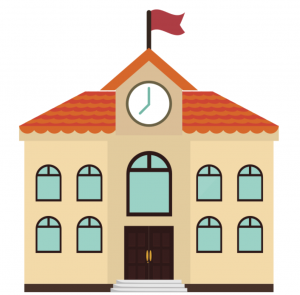 It’s by default called ThingLink, but you’re free to name it however you want. 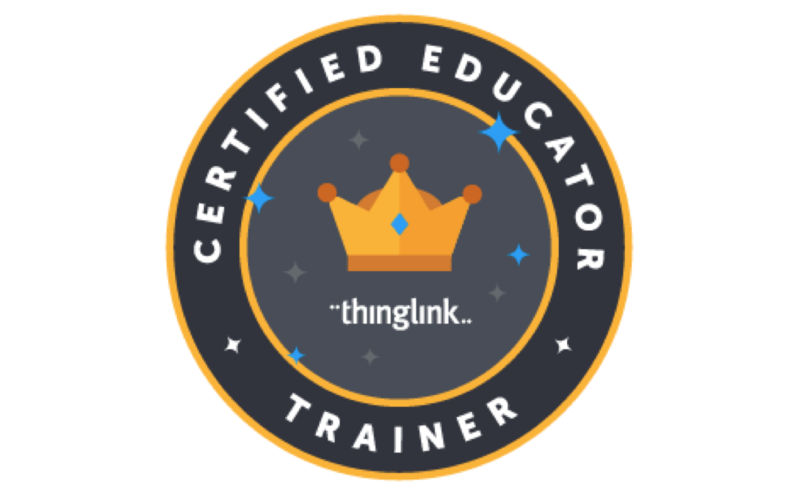 Bravo, you should have your ThingLink App up and running. Go and see how it looks! 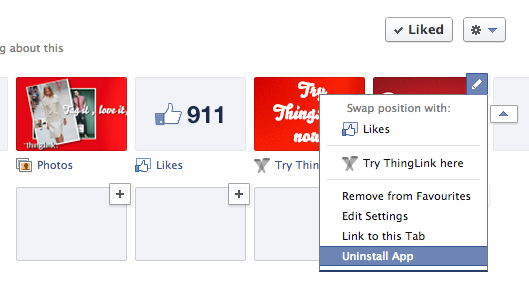 If you want to change the icon of your ThingLink App, you can find Facebook’s instructions for it here. To delete the app, click the little arrow on the right. This opens the editing options for your entire layout. To delete the app, click the editing tool and choose Uninstall App from the drop down menu. With your free ThingLink account you can create an unlimited amount of ThingLink Apps on Facebook, with a small bit of ThingLink branding.